Arrive At Rajkot Meet Great & Drive To Dwarka. Check In Hotel Later Visit Great Dwarkadhish Temple. 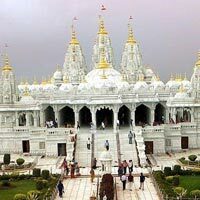 Enjoy Bhavya Aarti At Dwarkadhish Temple Later Visit Local Market & Back To Hotel Overnight Stay In Dwarka. Morning After Breakfast Full Day Visit Dwarkadhish Temple, Rukhmani Temple, Nageshwar Jyotirling, Beyt Dwarka (By Boat) , Gopi Talav After Full Day Sightseeinsg Back To Hotel Overnight Stay In Dwarka. Morning after breakfast drive to Somnath via Porbandar & visit Kirti Mandir, Sudama Temple, Sandipani Ashram. Later continue drive to Somnath check in hotel. Late afternoon visit Somnath Temple, Light And Sound Show In Somnath Temple Overnight Stay In Somnath. Morning Rudra abhishek. Later drive To Diu & check In Hotel. Late Afternoon visit Diu Fort, Gangeswer Temple, Ghoghla Beach, Nagoa Beach, Jalandhar Shin, Diu Museum, St Paul Church Balance Day Free For Leisure At The Beach. Overnight Stay In Diu. 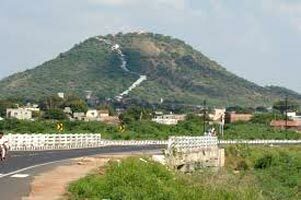 Morning enjoy beach activities & after breakfast drive to Rajkot via Junagadh. In Junagadh visit Ashoka Edicts, Uperkot Fort, Durbar Hall Museum, Mahabat Maqbara. Later continue drive to Rajkot. Overnight Stay In Rajkot. Morning after breakfast drop to the airport to board the flight for onward destination. Time 05:50 -08:25 Hrs. 08:55 -11:25 Hrs. Destinations Covered : Ahmedabad, Bhuj, Rajkot, Dwarka, Somnath..